The loss of a job . . . a bad break-up . . . a nasty accident . . . a new, obsessive habit . . . a big move to a new town . . . health problems experienced by you or a loved one – these are some of the many events that can turn your life upside down. These are life’s detours that you don’t expect. • Ask yourself about opportunity. We don’t like most of life’s detours because they force us out of our comfort zone. New duties at work or a request from a spouse may not only pique our defenses but also make us wonder, “Can I do this?” Fear and anxiety may push us to focus on our weaknesses and convince us of what we cannot do. When we make a simple shift in mentality, however, we can empower the beginning of personal growth by seeing unprecedented challenges as opportunities. • Are you willing to change? If not, then you can’t see opportunity. Change is inevitable, growth is optional. If your spouse asks you for a more patient attitude, for example, will you grow with an open heart or dig your heels in? He or she may not divorce you if you remain stubborn, but your relationship will likely flounder. Seeing a challenge as an opportunity enables self-improvement. And, when it’s time to ask something of your spouse, you will have currency with which to work? The same principle applies to work. If you’re asked to take on a new responsibility and respond well, you will gain leverage in your career. • Can you envision something better? In the process of internally negotiating change, a positive vision can help you tilt the scales of change as something positive. The vision can be specific. If you don’t know how to use software at work that you need to use, imagine how much better your time will be spent once you learn. What will it take to get there? Practice. The process may not be effortless, but you’ll have mapped out a solution. The vision can be broad, too. 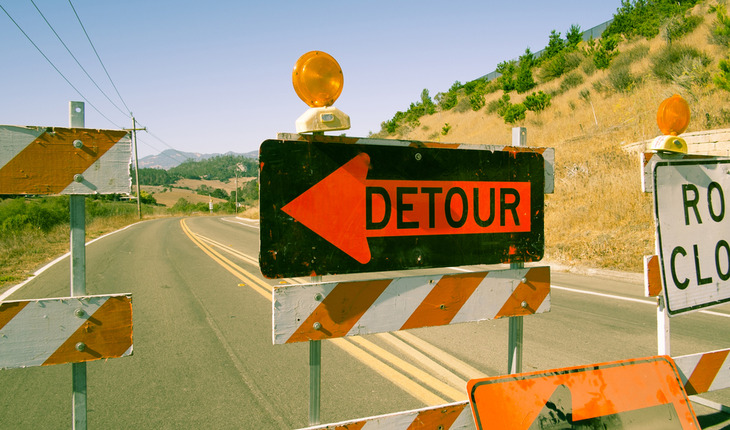 Is it possible to be more patient in general toward life’s detours? Indeed. Simply having more patience toward loved ones, for example, will improve your relationships tremendously.